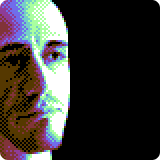 Nope, I don't suffer from some weird skin disease - that's simply my face pixelled in Commodore 64 colors (and without glasses). Yes, Commodore 64: that's the machine I started programming on at age 9 and that I'm making games for right now - I'm one those few passionate (crazy?) developers that enjoy to no end creating stuff for that wonderful machine. But there's also a newer platform that I love just as much: the Amiga! 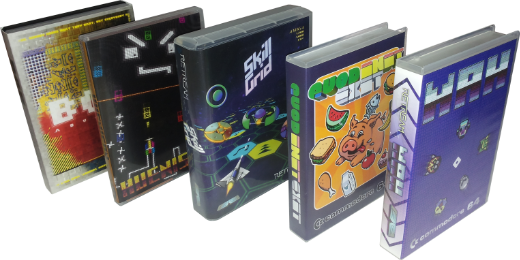 That said, I've also made games for PCs - in retro style, of course. You know, when it comes to video games, I want to live a dreamy experience like when I was a kid, I want to "retro-dream", so to say - and now you know also where RETREAM comes from. I can't help but keep on making games: I love it and I need it. The reason why I opened this Patreon page is precisely to ask you to help me with that - no, not with defeating that unstoppable inner urge, but with supporting it financially. I honestly don't feel at ease with such a request, as the way I've always worked in and that I'm comfortable with is: create something, and then, when finished, give it away for free or sell it; but now I'm forced to go for this alternative because, quite simply, I have been without a source of income for way too long (years!). I'm sorry if this sounds bad, but that's simply how things are. Now, what do I offer in return? Firstly, access to my currently released games. IMPORTANT: shipping expenses excluded; until stock lasts. Amiga: reworking entirely Follia, using a graphical engine written in 2003 that extends the AMOS Professional capabilities by exploiting AGA. Of course, I'll be giving updates about the progress of the projects. I'll do my best to make the plan happen. Thank you right away for helping me get it done. *Excluding future games for which a third-party, that has the right to do so, does not give its permission. At the time of writing, no third-party has any right over the games under development, and there are no plans to involve others.